Vinyl flooring is a perfect choice because of everything it has to offer your home. Whether you want to add the look of hardwood or you’d like to add a look of natural stone, vinyl flooring can meet your expectations and more in your New Tampa home. As a vinyl flooring expert, we strive for expectational results with each customer who comes to us. Our Top Rated Local® Flooring Service has completed projects that are beautiful, sturdy, and will last for years to come. This type of flooring is great for any home because it can offer you exactly what you want. High-quality, beautiful, and luxurious, vinyl flooring is the right choice if you’re looking for a flooring option that’s easy to maintain, affordable, and provides a refreshing element in your home. Is Vinyl Flooring Right For Your New Tampa Home? 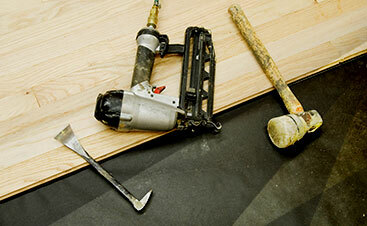 What type of flooring are you looking for in your New Tampa home? Do you want flooring that’s sturdy? Are you interested in flooring that’s colorful? What about luxurious? Perfect for high-traffic areas and resistant to moisture and dents, vinyl flooring is an option that everyone will love. Due to the easy installation process, the procedure will be painless and prompt. When you work with us, you don’t have to worry about a lengthy process that takes days. Luxury vinyl flooring is easy to install and maintain because of materials of the tiles or planks. This type of flooring also comes in many different types. You can browse the stone, ceramic, and wood options. What’s great about this type of flooring is how affordable it is. 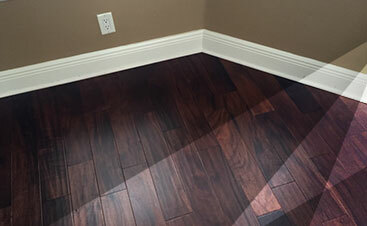 Instead of purchasing a more pricey flooring option you can get the exact same effect with luxury vinyl flooring. So where can luxury vinyl flooring go in your home? Really, due to its versatility, this type of flooring can go anywhere. If you’re interested in redoing your kitchen, then luxury vinyl flooring is the best option. 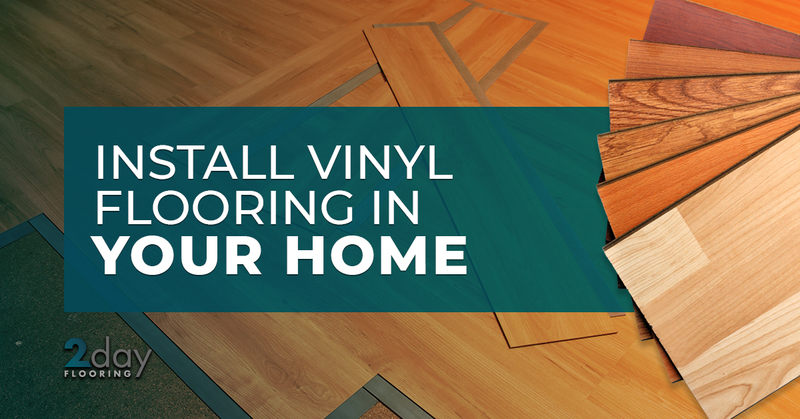 If you’re tired of the look in your dining room, then we encourage you to mix it up with vinyl flooring. It’s vital to remember before you decide that you want vinyl flooring, you should choose if you’d like to redo the flooring in your entire home or just in a single room. While vinyl flooring is affordable and durable, it’s important that you’re 100 percent set on this option. Slip-resistant and comfortable under your feet, you won’t be disappointed when you choose luxury vinyl flooring. 2 Day Flooring is a Top Rated Local® Flooring Service in the Tampa area; however, we’re thrilled to tell you that we service the New Tampa area. If your New Tampa home needs a little refreshing coloring or you’re like to add a more comforting vibe to your home, then we encourage you to appoint 2 Day Flooring to your flooring project. Prompt, honest, experienced, and dependable, you’ll enjoy working with us, especially when you see the results of the flooring in your home. Contact us today to get flooring that you can be proud to show off.